The 15th Annual Columbia Pike Blues Festival is a free, family friendly celebration of music, food and the diverse South Arlington community. On Saturday, June 19 from 1 to 8 pm join more than 6,000 locals at the block party on S. Walter Reed Drive and Columbia Pike in the heart of South Arlington. Contact Amy McWilliams at (703) 892-2776 for volunteer opportunities. 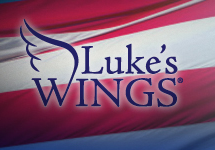 Tonight, the DC Young Republicans are holding a fundraiser in DC for Luke's Wings, organization dedicated to the support of service members who have been wounded in battle. Iota hosted a fundraiser for this same charity last month. Come to the ultra swanky Josephine Lounge in McPhereson Square from 7 to 10pm and the $10 cover goes to the charity and includes drink specials. Every Wednesday is Open Mic night at Iota, where anyone can sign up and play two songs on stage from 8pm to midnight. Weeknights aren't as packed as the weekends, so its much more laid back and easy to have a conversation. Plus its a great way to see a wide variety of local artists and genres. Tonight had a very diverse mix of musicians, from a white female rapper to a flute playing experimental to acoustic guitar. Local two-guitar band Citizen also played and gave out their sample CD. Derek also rocked out solo with two of his original songs. I finally got the chance to sit down and enjoy Murky Coffee's replacement on Sunday and enjoyed the place. Northside Social was quite loud and packed inside, but the sunny outdoor tables was relaxing. I was going to write a full review, but local blogging couple Steak and Legs beat me to it. And did a better job of it too. Bastards. Seriously, they have a great write up of Northside Social's food, wine and coffee selection with very high quality photos. Check out their blog for the details. Looking forward to more local reviews from Steak and Legs! Walking down Highland Street on this nice summer day, I was surprised to find a pair of woman's underwear found discarded on the sidewalk. Since the neighborhood offers much nightlife entertainment mixing young people and alcohol, it isn't that shocking but more humorous. Except this was at 9pm. A little early for losing ones underthings in public, isn't it? My mind is instantly filled with questions: How did they get here? Surely these things do not just fall off. Possibly someone threw it at a pedestrian as they drove past as a joke? And then more questions: How long would this lacy thing stay on the street corner? Maybe this is a Punked style setup, waiting to see which wierdo picks up discarded underwear. Another night where I thank Clarendon for providing me with a silly story. The annual Taste of Arlington 2010 is returning this Sunday, May 16th from noon to 5 p.m. Brought to us by the Ballston Partnership and the Clarendon Alliance, it will take place on Wilson Boulevard in front of Ballston Common Mall. This is a lively street festival featuring over 40 restaurants, local talent, arts and crafts, live music and children’s activities. 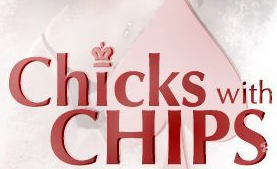 On Sunday May 23 Whitlow's will host the second annual Chicks With Chips charity event. Ladies only can enjoy an evening of poker, prizes, raffles, and drinks to raise money for the worthy Leukemia and Lymphoma Society. The Paper Raincoat is responsible for maybe the most fun I've had at Iota in the past few years. The talented band was opened for by Raining Jane, and all female eclectic rock-folk quartet. Amber and Alex were masters of engaging the Friday night audience. They rewarded crowd participation by offering brownies and other treats from Trader Joe's to those who stay close to the stage, clap with their beats, or even play Alex's tambourine. Paper Raincoat's music was airy and original, and very fun to listen to live. I really enjoyed how their songs had an arching storyline behind them, and were surprisingly uplifting. The show ended with an A Capella encore. Can't wait for the next time they tour locally! This Friday I'm excited to see The Paper Raincoat shine at Iota. 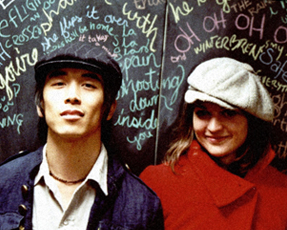 Amber Rubarth and Alex Wong make a promising duo of indie/pop-folk/orchestral story telling talent. Their songs sound epic and catchy, especially Right Angles which just got pleasantly stuck in my head. A unique twist to their music is that the songs are based around a storyline inspired by their move to New York City. Violins, keyboards and acoustic guitars tell the story of their fictional character named Grace. Looking forward to hearing their dream-like storylines and tunes this Friday! Thanks to Laura for the heads up about the Ballston Arts & Crafts and Farmer's Market starting this weekend. This Sunday May 8 the recurring Arts and Crafts market will be held between on 9th St between N. Stuart and N. Taylor. According to ILoveBallston.com, there will be over "70 local artists, artisans and independent designers from Arlington" selling their sculptures, photography and accessories. Later this month on May 27 the Farmer's Market will start and continue through October, giving residents another chance to pick up locally grown veggies, flowers and baked goods. More local Cinco de Mayo events at Arlnow.com. 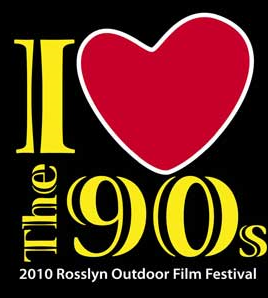 Thanks to What's Happening in Arlington Village for the heads up on the I Love the 90s outdoor film festival going on in Rossyln at Gateway Park. It will opened yesterday with Clueless (1995) and continues with Wayne's World (May 7), Mrs Doubtfire (June 18), Romeo + Juliet (Aug. 6) and The Wedding Singer (1998). Films will be screened every Friday night, rain or shine, at dusk. Bring a picnic, a blanket and lawnchair. Show up early for pre-show 90s themed games and prizes.